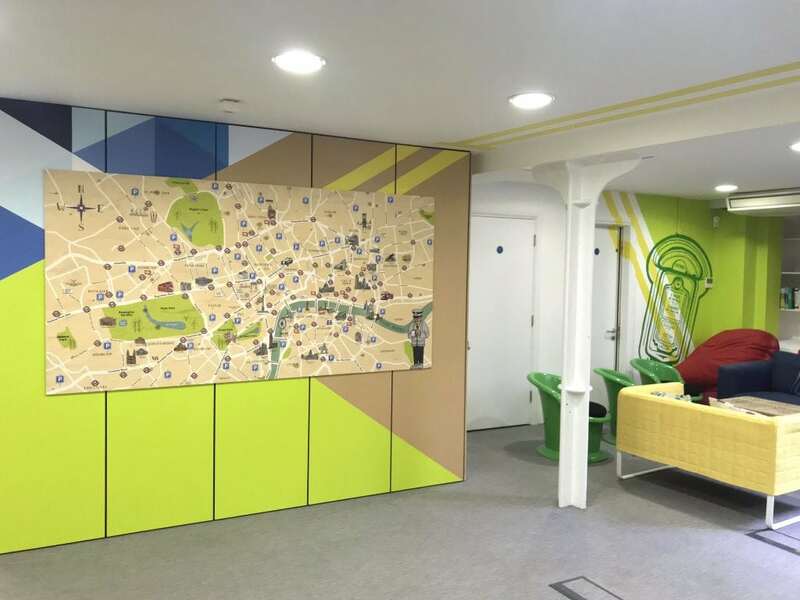 ‘The team at Soulful came highly recommended to us by a contact in the design industry…. but I have to admit that we were still a bit sceptical about how anyone could turn our run down office into something funky yet business like. 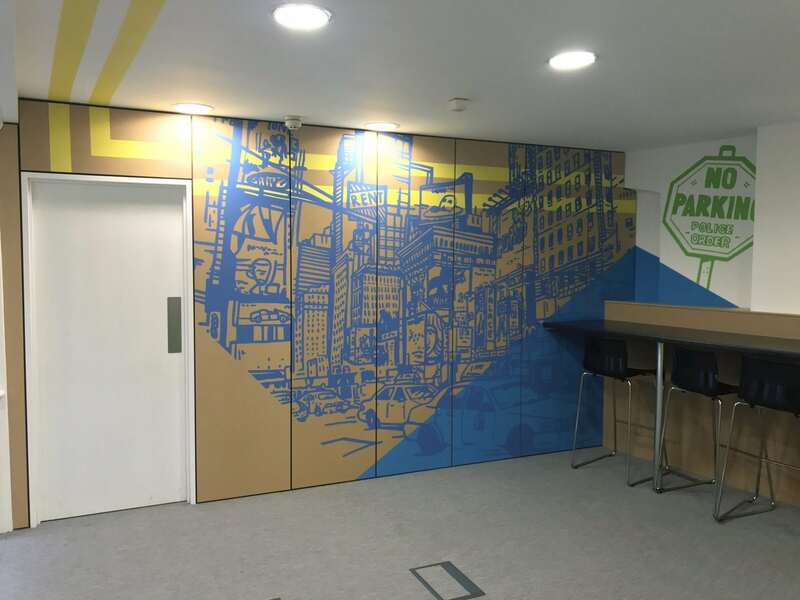 Parkopedia were moving into offices over 2 floors, and contacted us following a recommendation. 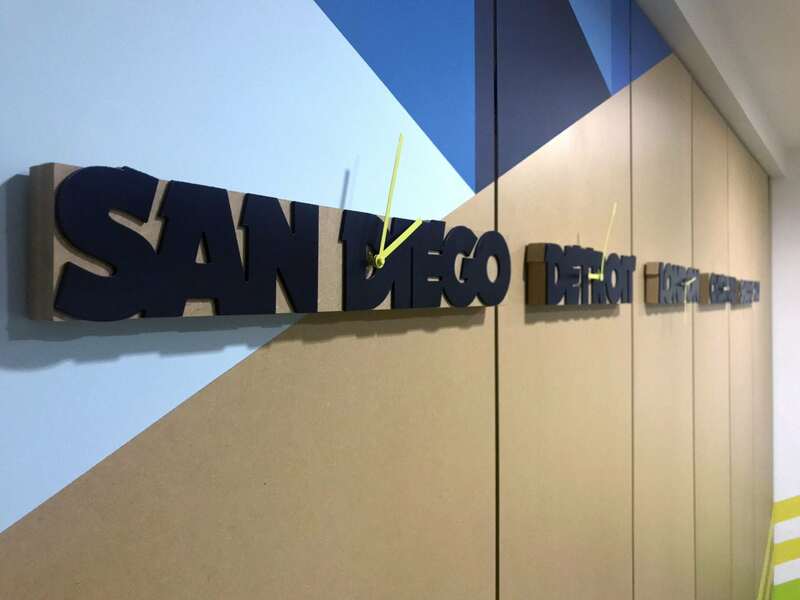 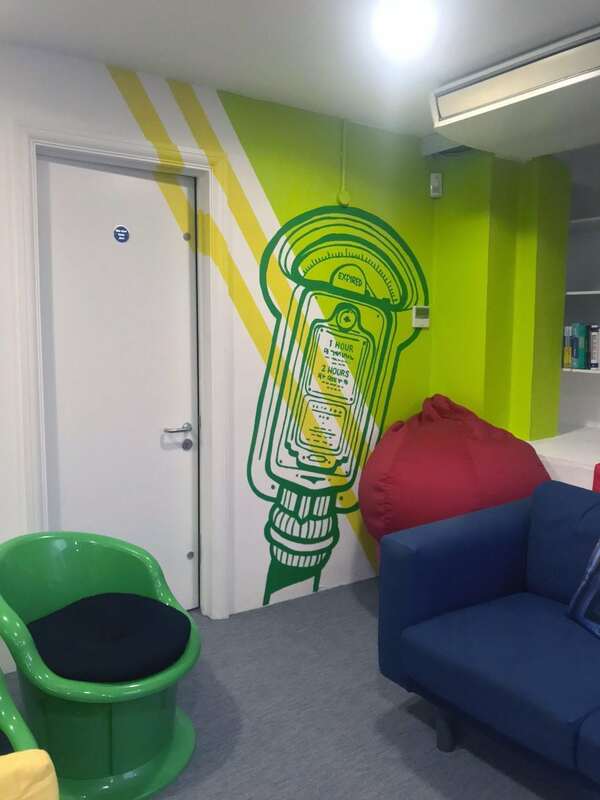 They wanted us to brighten up the slightly run-down offices and bring the brand and company story to life. 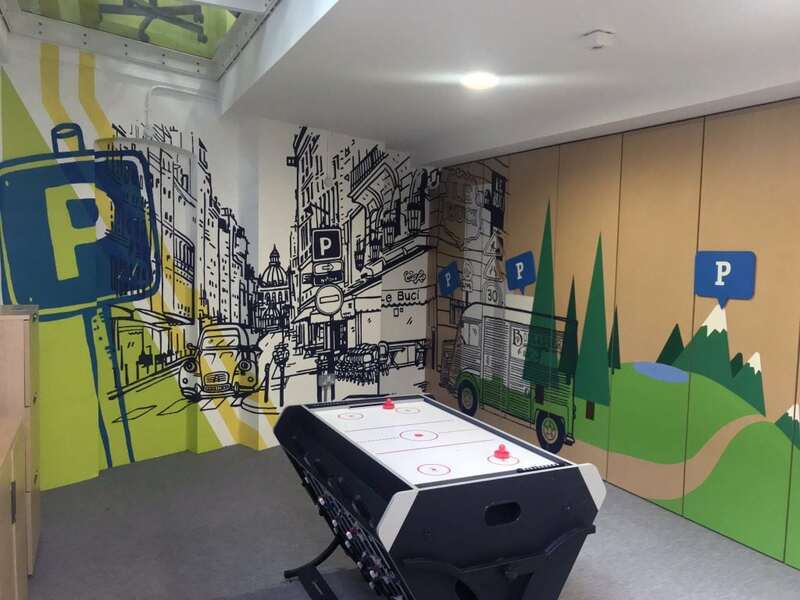 Taking inspiration both from the US roots of the business and the fact Parkopedia operates worldwide, we designed and hand-painted feature walls incorporating both geometric shapes and street scenes, helping to define different areas in the office. A San Francisco street scene was painted in the upstairs offices and New York and Paris in the basement. 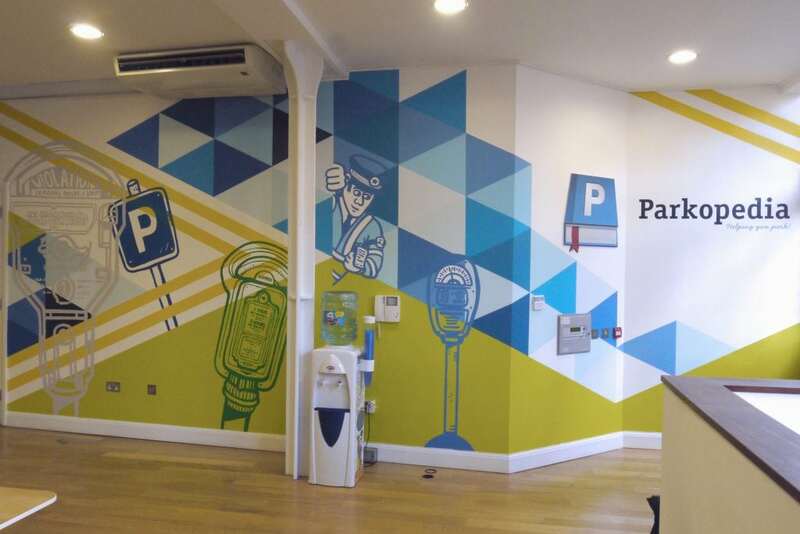 ‘P’ signs were hand-painted on Foamex and scattered through the design. 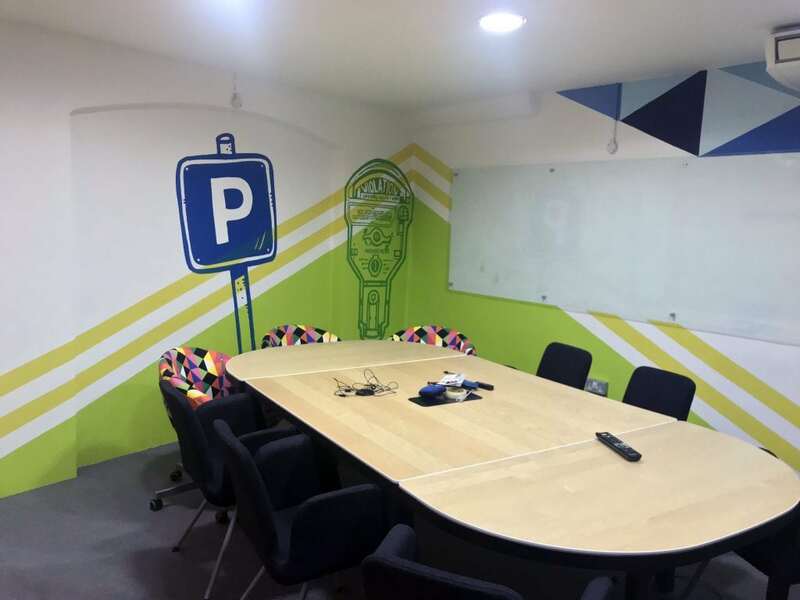 The boardroom also had a makeover, including iconic American parking meters, representing the origins of the company. 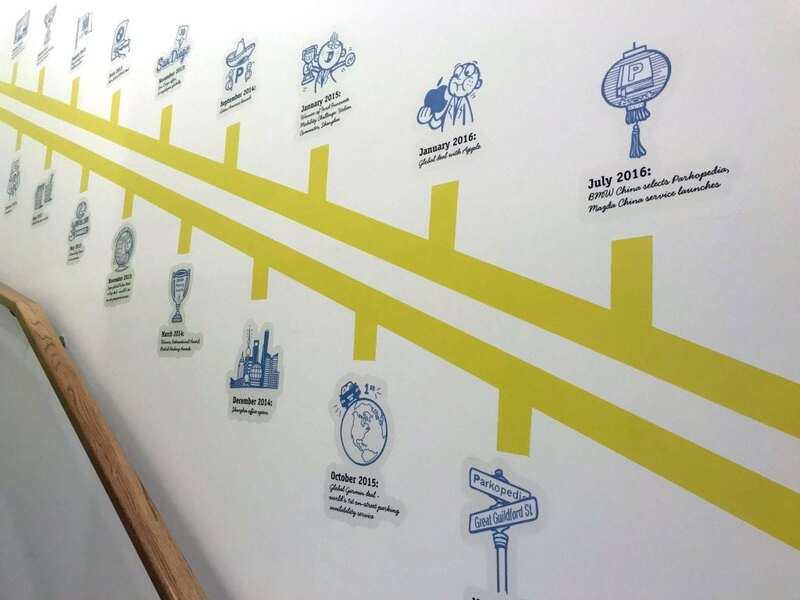 A company timeline was digitally printed on the stairs illustrating the story of the business. 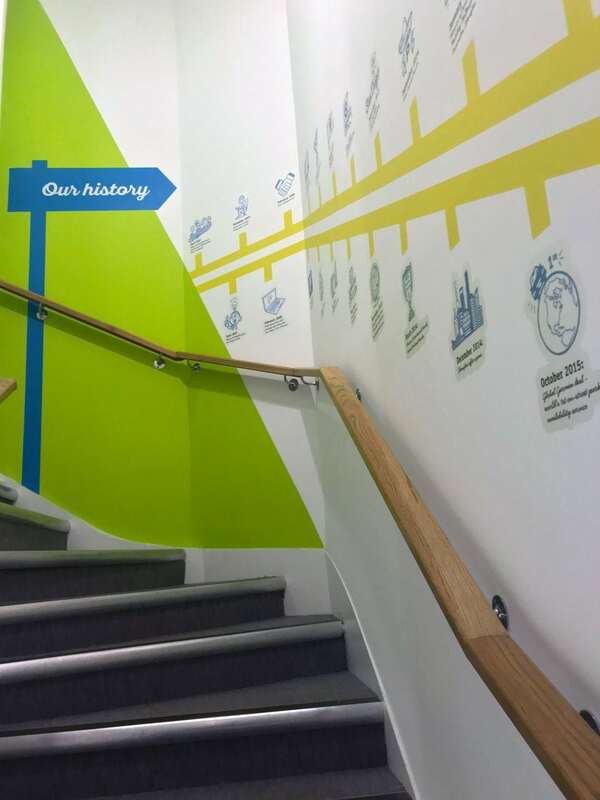 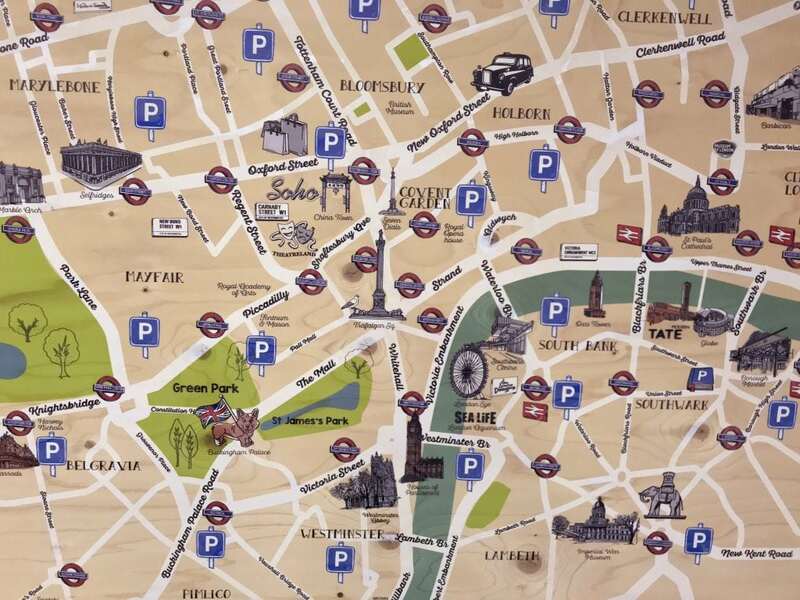 Downstairs, in addition to the street scenes, a map of London was created incorporating hand-drawn illustrations plus parking areas, and this was digitally printed onto plywood. 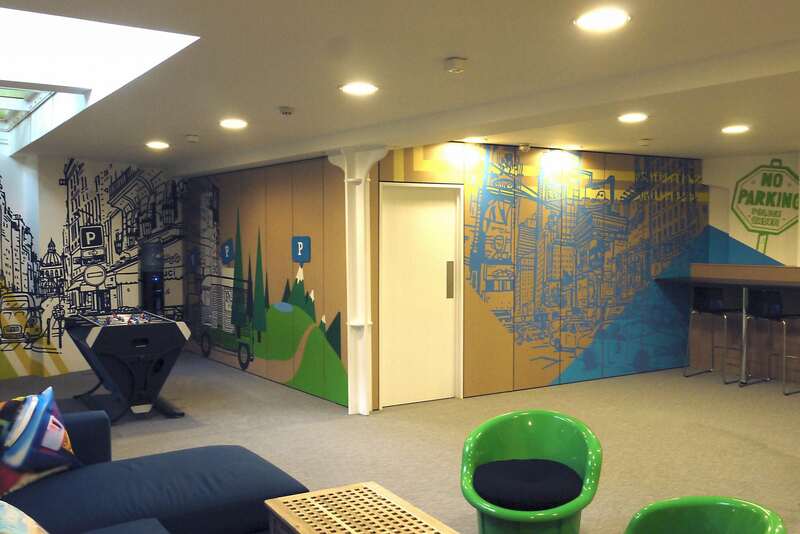 We also crafted working plywood clocks for different time zones for some of the areas Parkopedia operates.